I had previously heard about this new action movie called Atomic Blonde, starring Charlize Theron and James McAvoy, directed by the John Wick co-director David Leitch, but I knew practically nothing about it. 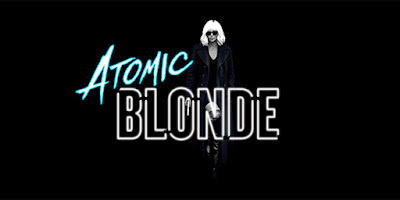 From the get-go, I thought the title "Atomic Blonde" was a little cheesy. It was kind of on the nose, and didn't really work for me. But any action movie directed by one of the guys who did John Wick, and especially starring Theron, immediately has my attention. So this film has somewhat been on my radar, but not a whole lot. After the other John Wick co-director did a marvelous job on the sequel, John Wick: Chapter Two, last month (you can read our review here), we got to see what Chad Stahleski's individual style is, not working with Leitch. So when I saw a trailer for Atomic Blonde was up, I was excited to see it. I wanted to see what Leitch could bring to the table on his own, especially with his next film being Deadpool 2. And we definitely get a good sense of it from this trailer. I'll start off with my negative first, before I get into the positives. This looks almost too much like John Wick. The opening sequence looks like an exact replica of a John Wick fight scene, including the head shots and the gunfu. I don't want this movie to be John Wick with a woman, because that's a disservice to Theron as an actor and Leitch as a director. It makes sense that the fight choreography would be similar, but not the exact same action. I don't want this movie to be a rehash of John Wick. I want it to be it's own thing. That's not to say that the action wasn't good. It was incredible to watch. But I want it to stand on its own, and not just be John Wick with a woman. Other than that, the acting looks incredible. Theron is badass as hell. We don't see a ton of McAvoy, but I'm assuming he's playing the villain. After seeing his terrifying performance in Split, I'm all for him taking on more villainous roles. John Goodman, Sofia Boutella, and Toby Jones also all look great in this. It's a stacked cast. I also like that we're getting a lead who isn't straight. I couldn't tell from the trailer whether she was lesbian or bisexual, but I'm glad we're getting a little differentiation. It's time we start seeing more of that kind of diversity in film, and I'm happy that this movie is taking those steps. Overall, I thought it looked really good. I just hope that, in the context of the movie, it doesn't come across as a rip-off of John Wick. But we'll see. What do you think? 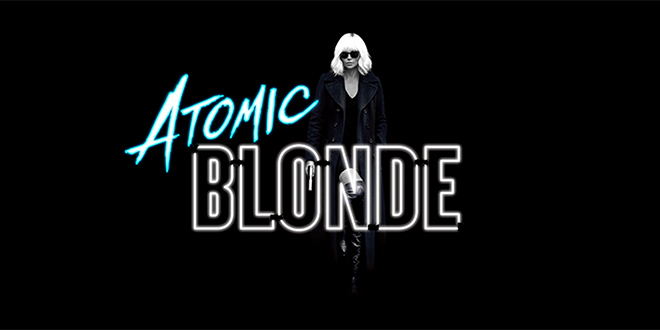 Did you like the first redband trailer for Atomic Blonde? Are you looking forward to seeing the film? Leave your thoughts in the comments section below.